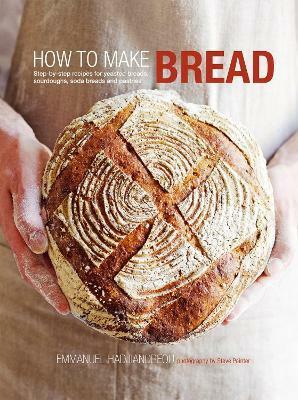 Emmanuel Hadjiandreou is passionate about bread and in this, his first book, he shows you how to make it, step by step. The book starts by explaining the key to good bread: why flour, yeast and temperature are important, and which kitchen equipment makes life easier. In Basic Breads, youÃ¢â‚¬â„¢ll learn how to make a Basic White Loaf with clear, step-by-step photos. With this method, youÃ¢â‚¬â„¢ll have the base for a number of variations. The rest of the book covers Wheat- or Gluten-free Breads, Sourdoughs, Flavoured Yeasted Breads, and Pastries and Morning BakesÃ¢â‚¬â€in more than 60 easy-to-follow recipes.